Rev Fran: "Come and See." A Sermon on John 1:43-51 on the 2nd Sunday of Epiphany, the Sunday before the Martin Luther King Jr Holiday. "Come and See." A Sermon on John 1:43-51 on the 2nd Sunday of Epiphany, the Sunday before the Martin Luther King Jr Holiday. I heard a story about a woman who volunteered at an art museum as a docent. There was a statue in the collection that this docent had walked by and even told others about countless times. On one particular tour, the docent was leading a group of blind guests. A young girl was among those invited to touch the statue that she couldn’t see. The gospel story we heard today about Nathanael is about seeing…and being seen. It’s a story about seeing what’s in front of you, and how hard that reality is. It’s about learning to see in a whole new way, because of how Jesus sees him. This is the second part of a story about Jesus calling the disciples. As John the Evangelist tells it, these are disciples of John the Baptist. When Jesus walks by, John the Baptist tells them that Jesus is the one they have all been waiting for. Then Simon Peter and Andrew go with Jesus. “Come and see.” Peter Gomes wrote that these three simple words are “the entire sum and substance of the Gospel. Jesus invites us to join him in the fullness of all that God has in store for all who love him. But Nathanael can’t see Jesus at first, because he’s looking through the clouded lens of his own prejudice. When he looks at Jesus, he sees somebody from Nazareth. Can anything good come from Nazareth? Jesus tells Nathanael he has seen him and known him…recognized him. And suddenly Nathanael sees Jesus as he really is. For Nathanael, being seen makes the difference. And he begins to see things differently. When we see things through the lens of the gospel, it changes what we expect to see… and what we already know—or think we know—about what we’re looking at. Sometimes we can’t even see ourselves, because our vision is blurred by denial and self-delusion…or by insecurity and self-hate. Nathanael is changed by how Jesus sees him. Before he knew Jesus, Jesus has seen and known him. Being seen and loved changes Nathanael, and it gives him new vision, to see greater things than he ever could have imagined. Over the centuries, others have been given new ways of seeing. Martin Luther King, Jr. was one of them. He was transformed by the gospel and changed by how others saw him, and he heard God’s call. In 1955, King was a young man, a recently installed pastor at a kind of uptown church-- a place known for being the church of the black elite. In the mid-1950’s, he wrapped up his course work for his Ph.D. and took his first call to a church. He had recently declined a nomination to serve as the president of the Montgomery, Alabama chapter of the NAACP, because he felt he needed to spend more time at his church work. Then Rosa Parks refused to move to the back of the bus. A meeting was held in the African-American community to decide who was going to lead the bus boycott. The other pastors and influential leaders in the community were smart enough to know that this looked like a risky business, so they decided to ask the new pastor in town to serve as president of the Montgomery Improvement Association, the group that would lead the bus boycott. King didn’t see himself in that job. But others saw him that way, and their vision changed him. But, as we know, this very human being was moved from “not my time” to yes. A while later, there was another defining moment. It came past midnight, in the King family’s kitchen. By that time, Martin was 27 years old. Over the past month, he had been leading the bus boycott, a decision that set off a series of death threats delivered via mail and phone to his home-- as many as 30 to 40 calls a day, often at night. Normally, King could put the phone down and go back to sleep. But one call, on the night of January 27, 1956, stood out. Shaken, King went to the kitchen, made himself a cup of coffee, but soon buried his face in his hands. Dr. King described it in his book, Stride Toward Freedom: “I was ready to give up. With my cup of coffee sitting untouched before me, I tried to think of a way to move out of the picture without appearing a coward. In this state of exhaustion, when my courage had all but gone, I decided to take my problem to God. With my head in my hands, I bowed over the kitchen table and prayed aloud. “The words I spoke to God that midnight are still vivid in my memory. "I am here taking a stand for what I believe is right. But now I am afraid. The people are looking to me for leadership, and if I stand before them without strength and courage, they too will falter. I am at the end of my powers. I have nothing left. I've come to the point where I can't face it alone. The fears ceased. But not the threats. Several days later, around 9:00 pm, a bomb exploded on the front steps of the house. Nobody inside was hurt. All these years later, traces of the bomb are still visible in the concrete. More than 60 years have passed since the Montgomery bus boycott. More than 50 years have passed since the March on Washington when Dr. King gave his “I have a dream” speech. We have had a tendency to freeze Martin Luther King in 1963, at the time of his “I have a dream” speech. But he went through a transformation in the last several years of his life before he was killed at age 39. Dr. King comforted the families of those little girls and preached their funerals, and struggled with the fact that the church was bombed partly because it had been a focal point for Birmingham’s community in the struggle he had led just months before. If we are to remember Dr. King with honesty, we need to remember the events of those several years and how they impacted him: the assassination of President Kennedy, the disappearance of the three young SNCC (Student Nonviolent Coordinating Committee) volunteers in 1964. 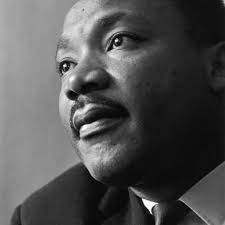 King was going through a rapid transformation from a civil rights leader to a human rights activist. He came to see himself as an advocate for the poor and oppressed wherever they were. He began working to bring together people of all races and parts of the country, anyone who was impacted by poverty and injustice. In December 1967, he announced organizing a Poor People’s March on Washington to demand better jobs, better homes, better education--better lives than the ones they were living. In the eyes of many, Dr. King was seen as a “communist dupe,” “troublemaker,” ‘traitor,” or “naïve, because he was challenging the status quo and speaking out against the triple evils of materialism and systemic poverty, of militarism, and racism. Rev. King was assassinated on April 4, 1968. (Some of us who are old enough remember exactly where we were when we heard the news.) The Poor People’s Campaign went forward, climaxing in the Solidarity Day Rally for Jobs, Peace, and Freedom on June 19. This year is the fiftieth anniversary of the Dr. King’s death and the Poor People’s Campaign. The day after Mother’s Day is the beginning of a New Poor People’s Campaign, under the leadership of Bishop William Barber, Rev. Liz Theoharis, and others. Martin Luther King’s prophetic witness helped black and white Americans to have visions and dream dreams. What he saw helped other people to see themselves differently. He saw African Americans and white Americans as children of God, who needed to be set free from hate. He helped us to see one another more clearly. We’re not in the promised land yet. But God’s love gives us new vision. Change is coming. So, it seems to me that we can choose how we will face the changes. We could approach them fearfully…grudgingly… and imagine all the worst possible scenarios about how terrible things will be. Or we could trust in God to be with us as we cross over a bridge to becoming a more diverse and inclusive, just and righteous nation. We could pray for God to use us as people of faith, to model what it means to live as Beloved Community and to be part of a transformation of our country that is more and more fully a nation of abundance, where there is truly liberty and justice for all. In our time and place, God calls us to be people who “come and see” and are so transformed in the grace and abundance and freedom of Jesus Christ that we embody it as we live together in Beloved Community with all of God’s children. Martin Luther King’s prophetic witness helped black and white Americans to have visions and dream dreams. What he saw helped some people to see themselves and other people differently-- as beloved children of God, created in the very image of God, who need to be set free from hatred and fear. We’re not in the promised land yet. But God’s love can give us new vision. Can we imagine it? Is anything impossible for God? God’s love gives us new life and new vision. So, come and see. See the face of Christ in your neighbor. Get a glimpse of who God has made us to be. Come and see. Vincent Harding, Martin Luther King: The Inconvenient Hero (Orbis Books), Rev. Ed., 2008. Kindle, Location 206.